With the rise of US states and Canada legalizing cannabis for medical and/or recreational use, there has been a huge boom in the marijuana industry. Now you can easily buy everything from seeds, growing guides, vaporizers, CBD oil, to smoking accessories online. Even hemp can be a profitable affiliate venture! The cannabis plant contains both tetrahydrocannabinol (THC) and cannabidiol (CBD). CBD and THC products differ in how they are consumed and what state laws are. Be sure to check your state laws before purchasing or promoting cannabis products! There's plenty to say about cannabis and cannabis culture, which makes it such a great niche to get into. Recently, enthusiasts and advocates are starting to talk about terpenes in the cannabis flower, which not only contribute to varying flavors and aromas, but also have a wide range of therapeutic and psychoactive effects. Actually, it reminds me a lot of hop flavors and aromas in craft beer! Here are 10 great cannabis affiliate programs to monetize your cannabis-related affiliate site. Green Goddess Supply offers stylish, premium smoking, CBD, and cannabis supplies to match your lifestyle. They are committed to designing and sourcing the best smoking accessories. Their starter kits and bundles range from $70-100 with free shipping on orders over $50 in the US. They use ShareASale to run their affiliate program. Green Goddess Supply provides their affiliates with optimized graphics, banner ads, and state of the art tracking tools. Affiliates can also create their own links with their easy to use custom link tool. Affiliates can earn increased commissions of 12% for $500-$1,499 in sales all the way up to 18% for $3,000+ in sales. Bergman's Lab offers detailed instructional courses on how to grow your own cannabis and save money on dispensaries. Their easy to follow system includes day to day photos and access to a personal grow expert. They guarantee your privacy on their 100% legal courses backed by a 30 day money back guarantee. Their affiliate program is managed in-house. Bergman's Lab makes it easy for their affiliates to share their unique referral links on their website, blog, social media accounts, and emails. Affiliates can also promote their free Harvesting Mini Guide to help convert more leads. Affiliates can earn increased commissions up to 50% that never expire based on their lifetime sales. HoneyStick is an award winning vaping accessory brand. They were the first company to create a sub ohm vaporizer and continue to develop high performing, high tech vaping tools and accessories. Their inventory includes a wide variety of vaporizers for cannabis dry herb, concentrates, wax, essential oil, and CBD oil. They have an average ticket size between $100-$115. HoneyStick has partnered with ShareASale to oversee their affiliate program. They provide their affiliates with all the marketing materials and tools needed to start promoting right away. They are constantly adding new high ticket products which can lead to higher orders and commissions for their affiliates. Cannastick is the #1 portable vape pen for oils, dry herbs, and wax. Their affordable starter kits make it easy to switch to a healthier alternative to smoking. They've been featured in Forbes, Rolling Stone, High Times, Touch of Modern, and BuzzFeed. They use iDevAffiliate to manage their affiliate program and provide their affiliates with optimized creatives and comprehensive tracking tools. Cannastick offers a $25 bonus just for signing up. Affiliates earn recurring commissions for every order their referrals make during the 1 year cookie life. They offer 3 commission levels based on sales volume with a base commission of 20%, 25% for 101-200 sales, and 30% for 201+ sales. Seedsman is a reliable, trustworthy source for cannabis seeds. They carry 1500 strains from more than 65 seed banks around the world. Their inventory includes high quality indica marijuana, sativa marijuana, feminized, and autoflowering cannabis seeds for faster grow times. Their affiliate program is powered by Post Affiliate Pro. Seedsman offers offline tracking, real time reporting, and discount codes to help increase conversion rates. Affiliates can also utilize their entire product catalog, giveaway promotions, and helpful affiliate guides on how to boost earnings. Affiliates also earn 5% commissions on sales made through affiliates they refer. Herbalize Store sells hand picked, premium vaporizers in the US, UK, and Canada. They are the most environmentally friendly online vaporizer retailer that plants a tree for every vaporizer they sell. They offer a best price matching, discreet free shipping, and 14 day free returns. They have an average order size of $200+. Herbalize Store uses ShareASale to run their affiliate program. Affiliates have access to professional designed banner ads, text links, and robust reporting tools. They encourage potential affiliates to email them to learn more about their website and tips on how to earn great commissions with their program. Smoke Cartel is the #1 US online head shop with over 300 brand name products. They are the leading supplier of vaporizers, glass water pipes, and smoking accessories. Their shop has been featured on Weedmaps, High Times, Leafly, and Forbes. Their affiliate program is hosted on their website. Smoke Cartel's program is a great match for cannabis and tobacco related websites and blogs. Affiliates can reach out to their affiliate management team for recommendations on how to increase conversion rates. They reward their affiliates with increased commissions up to 12% based on their sales volume. DaVinci Vaporizer develops innovative vaporizers to reinvent your vaping experience. Their superior products deliver the highest quality levels of precision and purity. They offer a lowest price guarantee as well as fast, free shipping on all order over $50 in the US, Canada, and 26 countries in the European Union. They have teamed up with ShareASale to oversee their affiliate program. DaVinci Vaporizer has a $460+ 30 day EPC with average commissions of $70+ per sale. Affiliates can utilize any of the provider creatives, links, and exclusive coupon codes to help them promote. They offer high conversion rates compared to wholesale partner websites because customers can trust they are buying authentic products with warranty support. MagicalButter is the first countertop herb extractor in the world. In as little as two hours you can create herb (or cannabis if you desire) infused butter, oil, lotions, and more without all the hassle or guesswork. It combines an immersion blender with a heating unit and thermostat to steep your herbs at perfect time and temperature. Their affiliate program is managed in-house. MagicalButter provides each affiliate with a unique link to share with their friends, family, and audience. They offer an easy to use affiliate dashboard to track sales and fast commission payouts through Paypal. They are growing fast due to their recent media exposure and positive reviews from some of the top cannabis related blogs. Everyonedoesit is the largest online head shop in the UK and the US. They sell everything from grinders, rolling papers, vaporizers, bongs, pipes, and cannabis accessories. Customers receive the best prices guaranteed and free shipping on all orders over $50. Their affiliate program is powered by ShareASale. Everyonedoesit has created a wide variety of banner ads, text links, and other promotional materials. Their responsive affiliate is available to answer any questions and offer suggestions on how to get the most out of their program. They have been providing the best smoking supplies for almost 20 years. Now that you've discovered 10 great cannabis affiliate programs, you should start thinking about what niche you want to promote. You could focus on cannabis vaporizers which is considered by many to be the best cannabis delivery method. HoneyStick is an awarding winning vaporizer company for all types of cannabis and CBD oil. Affiliates earn 15% commissions on sales. Smoking affiliate programs would be a good match here too. 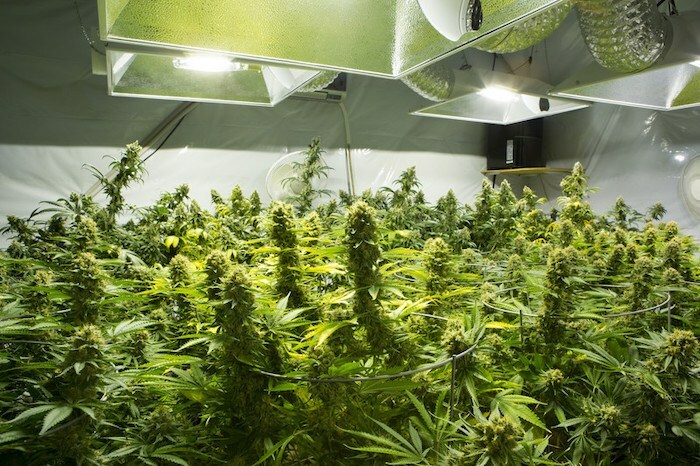 Growing cannabis courses is another great niche idea for people looking to grow their own cannabis instead of having to buy it from dispensaries. Bergman’s Lab creates fool proof cannabis growing instructional courses with day to day photos. They offer a 20% commission rate with increased commissions up to 50% for top performing affiliates. Hydroponics affiliate programs are definitely something you should look into if you're going this route. Along with growing cannabis, you could also target cannabis seeds. Seedsman is a trustworthy supplier of 1500 different strains of cannabis. Affiliates receive 15-20% commissions plus 5% 2nd tier commissions. I’d take Cannastick down. I had an affiliate account with them a couple of years ago, and reached out for payment, but never received an answer or a payment. Would definitely recommended a different program instead of them. Great post! Very informative! Having cannabis legalized in US and Canada states, is a major breakthrough and a radical change. I’m not sure if it is for better or worse, the sure thing is, it changes a lot. One of them is cannabis-related products and their respective affiliates. Most of these programs are about smoking or growing cannabis. In many countries, this is still illegal, so, I think you should put a disclaimer on, because people may get in trouble. wow!!! this was article is so full of very cool and interesting informatiom to learn,and would never think that you could make money as an affiliate marketer by doing this!!! The best part of this info is that everything your showing is perfectly legal.To be honest I’m old school and mostly every thing I’m learning from this site has me so excited that I will definitely be reading it more then oncce!!! I really like your web site and your posting about cannabis affiliate programs. I think cannabis is in the early stages of being a boom, and that getting into the business now is a great idea. Cannabis will be legal nation wide very soon. Your analysis gives me ideas for doing a cannabis website myself, which would be advantageous, since I live in Colorado where it is totally legal. Thanks for your information! Well Nathanielli, this is a bucket load of information and a real eye opener to what is possible. I only knew about CBD oil. With all these descriptions here, this seems like a great niche to get into. That HoneyStick and Cannastick look like products I could work with and get some good returns. There are so many possibilities with affiliate marketing in general and the cannabis programs look quite attractive. Thanks for the information on all 10. Thanks for the very nice summary. I am looking for the CBD affiliate program right now and would like to promote CBD in my website. Now I have your list and am going to pick one from it. But I still have difficult to make the final decision on which one to pick. Based on your article, commission rate and cookie time are two important criteria. Cannastick may the best one, since it have highest commission rate and longest cookie time. What is your idea what you pick just one? Cannabis and CBD are a bit different, so if you are specifically looking to promote CBD oils, i suggest you click the links to that page in the article. Cannastick does seem to be a popular product to promote because of the commission size. Just make sure it’s a product that you actually like the product! Great job on this review of top 10 cannabis affiliate programs. It is really amazing to know about commission rate on different cannabis. I can’t get my eyes off that of cannastick, the 20% affiliate commission rate is really mouth watering and cannot be ignored. I think I will have to go for this. Thanks for sharing this article. Yes, that high commission rate is pretty attractive, and as you can tell from the comments before yours, it seems to be a popular product to promote as well. As with all affiliate offers, make sure the product resonates with your audience! Check out the features of each product. I recommend promoting a few different items side by side, then labeling each one as the “best” of some kind of category. Something like “best for newbies”, “best flavor”, or “lowest price”. That way each thing is still good, and you don’t have to slam one product by comparing it to another. Omg Cannastick I’m eyeing that! The commission percentage is really attractive! Starting from 20% and can gradually go up to 30%, this has got to be the highest commission rate of all the other cannabis affiliate programs. With features in Buzzfeed and Forbes, it is no surprise that Cannastick would be really easy to sell. Which one out of all these top 10 is your top pick, Nate? Commission-wise, Honey Stick’s $15% of $100+ is pretty enticing. I’d have to dig deeper into user reviews though. It’s important that the product is good too. I do like the 1-year cookie life of Cannastick though. Sometimes people take a while to make a decision to buy. I’ve had people contact me up to 3 years later to join programs I recommend! Cannastick sounds like a real steal. I already clicked through and am intent on reading some more information regarding Cannastick. I’ve been researching Cannabis for a few weeks ever since stumbling across about a dozen affiliate sites and counting. The more I read about it, the more I find it can be an alternative to mainstream big pharma. America needs this. Cannabis niches are hot right now, and they’re just going to get bigger as the US moves towards recreational legalization. Even the recent CBD and hemp news in the US is very positive for the cannabis industry as a whole. As far as “cannabis” goes, I don’t think of lot of people are giving pets cannabis. I think they are talking about cbd oil, which is much different (non psychoactive). I am also dubious about the effects of CBD oil on animals, but so far it seems like it’s pretty harmless. That would be a very cool niche site though – CBD for pets! I have a Boston Terrier that’s in some serious need of a chill pill. This may be a relatively novice question, but I’m not familiar with selling weed so I must ask. As someone who lives in a state where marijuana isn’t legal for either medical or recreational use do I have to worry at all about promoting these products? With the growth of the market I want to jump into it ASAP, but I also want to make sure from a legal standpoint I can’t get in trouble for promoting a product that is currently illegal in my state. Any thoughts or good points of reference to check out? You wouldn’t be “selling weed” by doing affiliate marketing. You’re just an information hub. There may be individual rules for each affiliate program of what you can or cannot say, but there’s nothing in the law books that say you cannot talk about illicit activity. People talk about smoking weed all the time! That way, you aren’t telling anyone to do anything. You are just telling people how to do something in a place where it’s legal to do that thing.